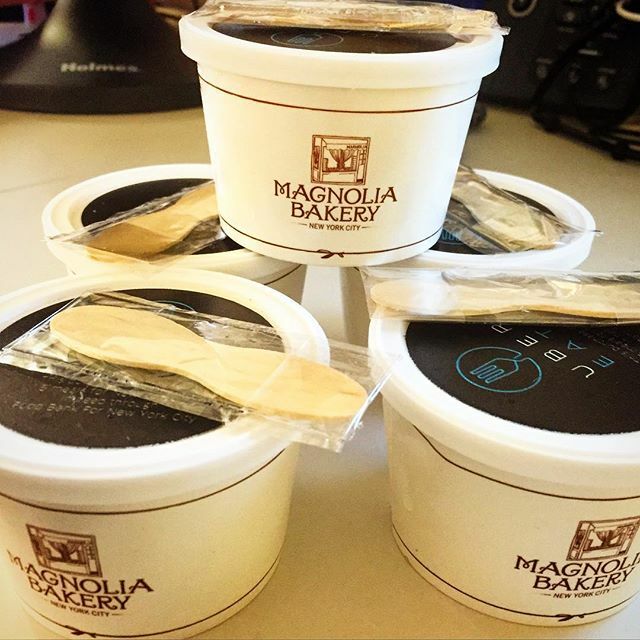 Magnolia Bakery – NYC – Multiple locations – Updated with RECIPE!! In general I have never been a fan of banana pudding. However, I went to visit my friend Lauren at her office and she had some on her desk from Magnolia Bakery. I wasn’t even going to try it, but I did because she said she doesn’t normally like it either. 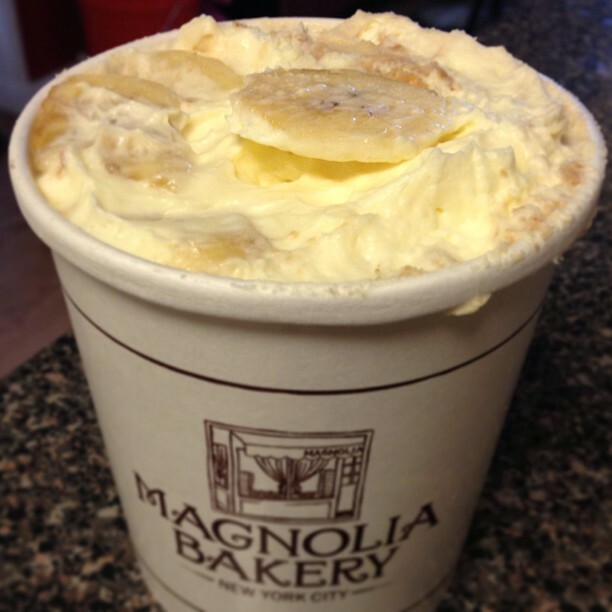 OMG Magnolia Bakery banana pudding is amazing. You have to have it for yourself to understand. Soon after trying it I had to get some for myself, since I practically devoured hers. Then Uber Eats featured mini versions priced at $1 each a few weeks ago. Upsettingly I was unable to get any as they sold out very quickly, so when they offered it again this past week I went on AT 11am and ordered 5 of them on the spot. Not only did I get amazing pudding for a very reasonable and delicious price, but I was also able to provide 5 meals for food banks throughout NYC! #foodbankfriday #ftw. I know that they are known for their cupcakes, but in my opinion the banana pudding is where it is at. Try it straight from the bakery, but also try it after you’ve refrigerated it, that is how I actually prefer it, while my friend Andrew only likes it right from the bakery. I was actually thinking of freezing one and seeing how that is! Ok, so I woke up early today and decided to try out a recipe I found online for this. It was a success. I am a little nauseous now though because I have eaten WAY too much, haha. See the recipe for this below the pic of my final product. 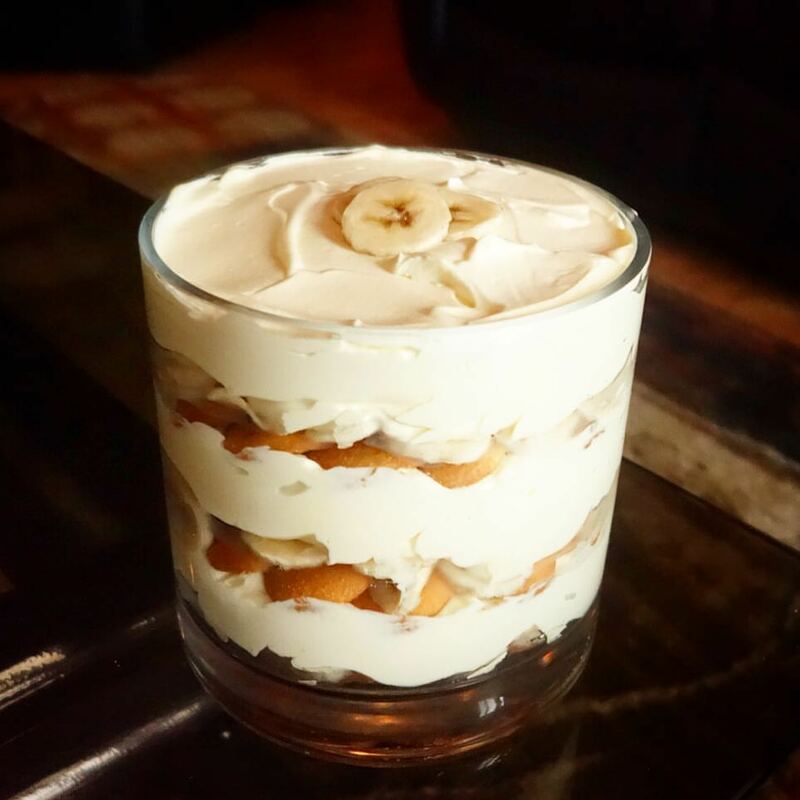 My homemade version of Magnolia Bakery’s Banana Pudding! Wisk together the water, pudding mix, and sweetened condensed milk until smooth. Refrigerate for at least 4 hours, or overnight until it sets up. Whip heavy cream until soft peaks form. Working in thirds, fold the whipped cream into the pudding mixture until well incorporated.